Are people fleeing your state or moving in? 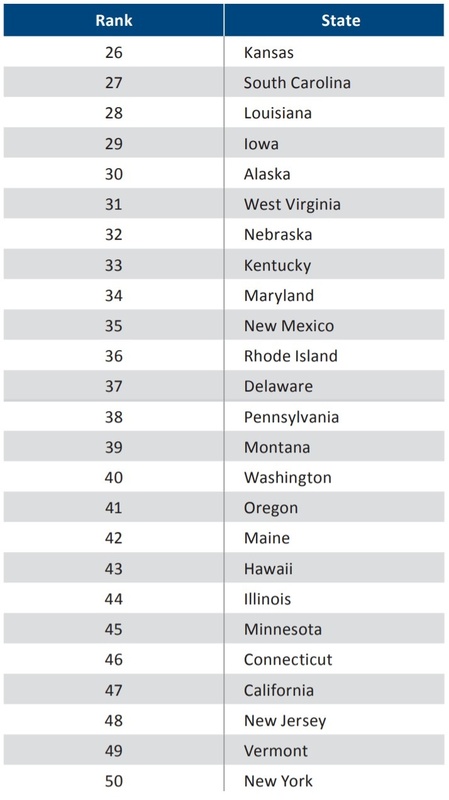 What is your overall tax burden compared to the other 49 states? What is your state’s economic outlook based on 15 variables that are highly influenced by your state legislature? 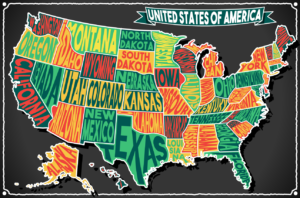 Those questions, and a few more, are answered in the American Legislative Exchange Council’s (ALEC) most recent report on all 50 states. Legislative actions are causing tax burdens on state populations, causing a decrease in populations and economic growth. If you live in New York or California, you have seen almost 2.5 million people fleeing your state, resulting in a net loss in population from 2006 to 2015. On the other hand, the number 1 and 2 states, Texas and Florida, have seen a net gain of over 2.2 million new residents in that same time. What makes people flee to other states? According to some interpretations of the ALEC report, legislative actions are forcing more and more tax burdens on certain state’s populations. I don’t suppose that comes as any big revelation to any of you reading this. New York and California rank 50th and 49th, respectively, in absolute domestic migration. If you had to think of the two states with the biggest tax burdens, you would most likely guess these two. That is why I used the word “fleeing” earlier, instead of leaving. I know Californians are moving to Reno daily, especially upon retirement. We are glad to have them here. Don’t let this fool you into thinking Nevada is some sort of tax-haven. 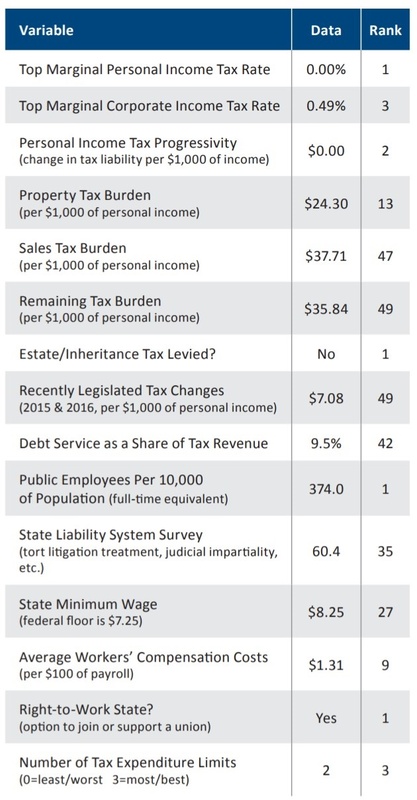 We do rank very high (high being good) for having no personal or corporate income tax, but we also rank very low (low being bad) on sales tax burden. Nevada still burdens their residents with excessive taxes, just not as badly as other states do. Some of the most telltale numbers in the report are the “Recently Legislated Tax Changes,” which show the dollar amount of taxes that were regulated into existence per $1,000 of personal income in 2015 and 2016. Nevada has added $7.08 in taxes per $1,000 of personal income, making it rank 49th out of 50. This shows that our legislature is moving in the wrong direction when it comes to taxing Nevada residents. 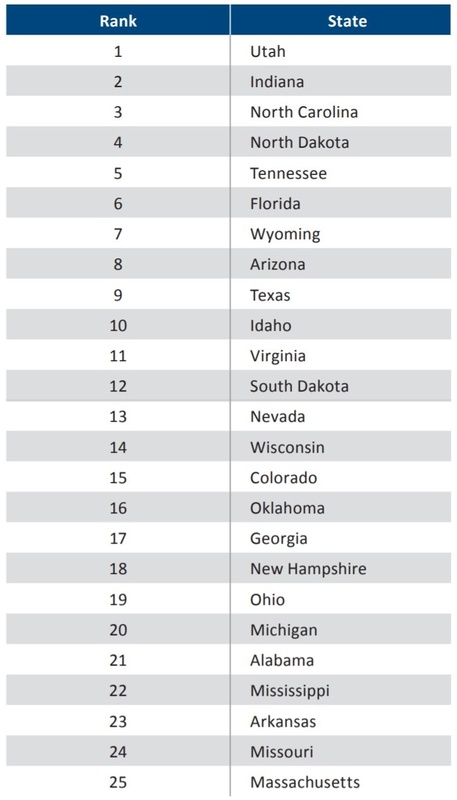 On the bright side, Nevada ranks 13th for our economic outlook, so that is positive. We use this report as a preliminary look at the states we are interested in buying our starter homes in. We will eventually own the mortgages of these homes in our fund, Guardian. If people are fleeing a state, it can change how much business we end up doing there. It is harder to sell homes in a state where the population is decreasing. This report is just one of the tools we use to decide what areas in the Midwest fit in with our criteria. Our number one tool is the rent to mortgage payment ratio. We set our criteria for the mortgage payment to be no higher than 70% of the market rent rate in the area. With that criteria, we can usually offer a mortgage payment, owner’s insurance, property taxes, owner maintenance and upkeep, all combined, at almost exactly the same price as rent. If we can set the homeowner up for success, that translates into more success for Guardian and all of our investors. With these numbers and the way our fund is structured, we are looking forward to helping many deserving families achieve the American dream of homeownership.